Where I’ve struggled is making a plan for today. Just today. Not the next three days, or week, or month ahead. I’m talking about a realistic, logical plan, at a glance, for this 24-hour period I’m living in right now. It sounds easy: A daily plan that helps me stay focused on what I need to be doing at any given moment. Well, maybe it’s my ADHD brain, or my perfectionist tendencies, or whatever. But finding this ideal daily planner solution was no cake walk. 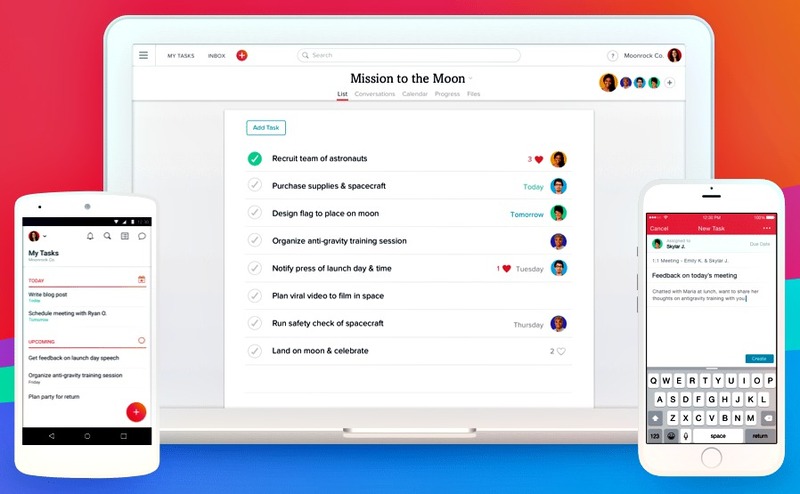 I tried using Asana for daily planning, but that gets tricky because I keep my personal projects separate from work projects. Even if I mark certain tasks “For Today,” I still have to switch back and forth throughout the day. Not so helpful with the whole “stay focused” thing. And bouncing between the web app and mobile, as I do, makes the switching even more of a pain. I tried using Google Calendar to schedule out all my work for the day, creating “appointments” for specific tasks based on whatever time I estimate they will take. Unfortunately, those reminders got irritating since they’d go off so frequently (not just for real events). And whenever I glanced at my calendar, seeing all those time slots full of things, I felt a panic attack coming on. So then, I went for a simpler “offline” approach: writing today’s tasks on a small, dry-erase whiteboard. It certainly felt satisfying to cross off tasks throughout the day. 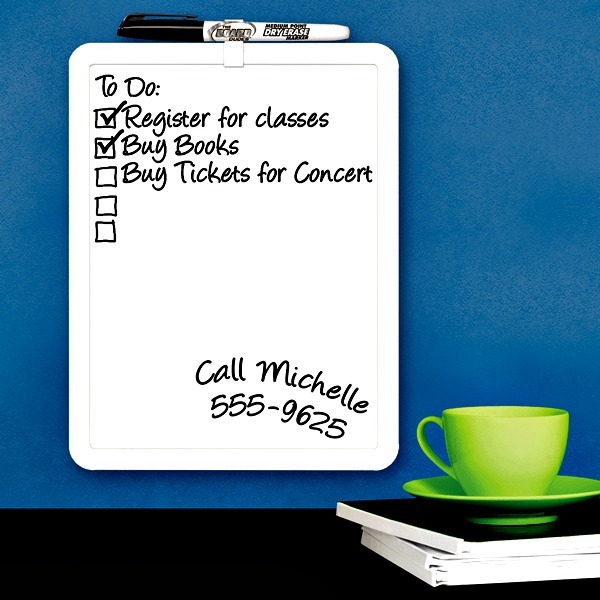 As long as I didn’t go overboard with the list, and kept my to-dos within the range of possibility, I wasn’t overwhelmed seeing that whiteboard. This method worked fine when I had a dedicated office, but it didn’t adapt too well after I moved to a coworking, shared office arrangement. I don’t really want to carry a whiteboard around with me from home to whatever desk I’m using each day, and back again. Plus, the dry-erase marker writing gets all messed up in the transport process. That’s when I started looking into daily planners, of which there are APLENTY to choose from. I wanted a one-page, one-day-at-a-time kind of plan. Simple, clean, just the basics, nothing too cutesy, no trademarked “systems” I needed to learn. 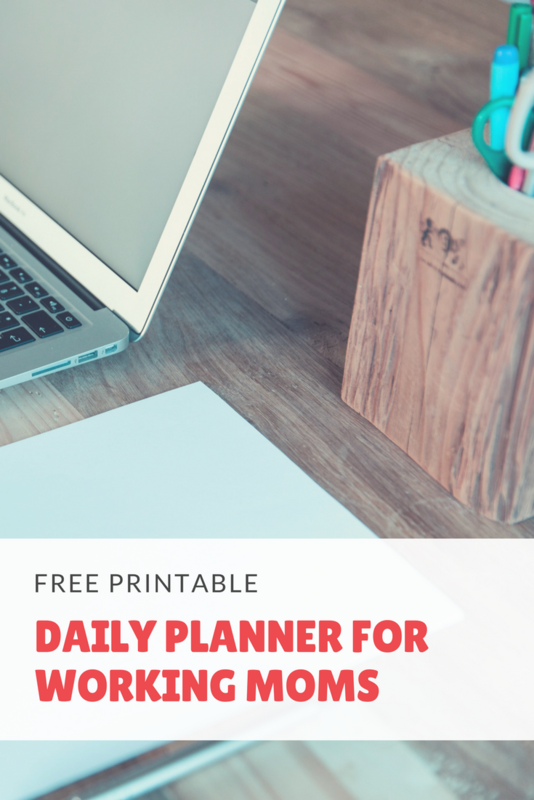 After shopping around online, I discovered a range of daily planner options from free printables to pricey designer ones with leather covers. But nothing quite right. Why don’t I just design my own daily planner? This thought finally occurred to me, and I quickly got to work creating a printable page that addressed my needs. As I added the nuts and bolts of “to do’s” and time blocks, I felt like my daily planner still needed … something. It needed INSPIRATION, specifically for a working mom like me. So I added little statements in the bottom right corner. On each page, I put a brief affirmation I can say to myself during the day to lift my spirits or give myself a break. Now I had the daily planner I’d been looking for. Made it myself. Printed some copies, put them on a clipboard (one of my current obsessions), and started using my creation. 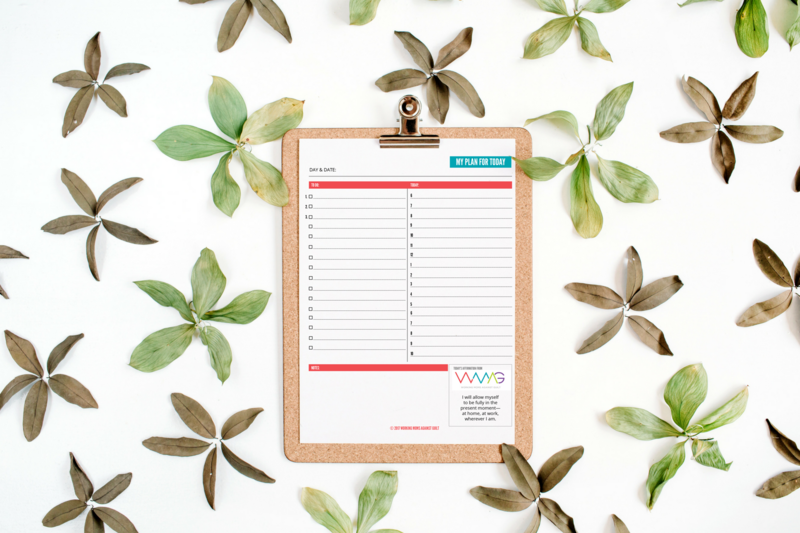 Earlier this year, I shared my printable monthly calendar with WMAG readers, so you, too, could keep your family on the same page. I decided to do the same with this daily planner. This updated PDF now has 30 pages featuring 30 different working mom affirmations. Here’s to happier, more productive days ahead! Thank you for this! Just downloaded this planner! Finally, someone is concerned about working Mom. Congratulations, your thoughtfulness will go along way in alleviating the problems some these working mom are going through. Love from us at http://www.familyservicenetwork.com Let us know if there is any way we can collaborate with you in the service to the family. 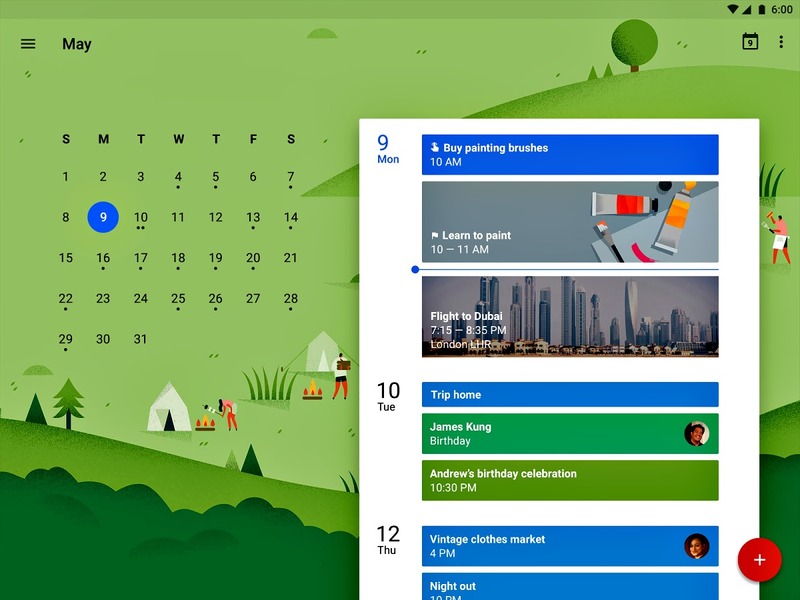 I have to admit I use Google daily planner for my personal appointment and I use a planner from staples for my professional items. I am always interested in new items that can help me manage my time. Great article! Thank you for your post. I use S planner an android app on my phone for making a daily planner. It helps me a lot to manage my time. Nice! Thanks for sharing! I just stating working on planner decorating and using a planner again overall on a daily basis. It helps me to get more organized and on top of my work and goals. I am a simple planner as well. I personally use a bullet journal because I could not find a planner format I liked and that fit my needs. This is a wonderful format and beautifully. Thanks for sharing this info. Good tips for my wiffy. 😉 I will definitely share these with her.